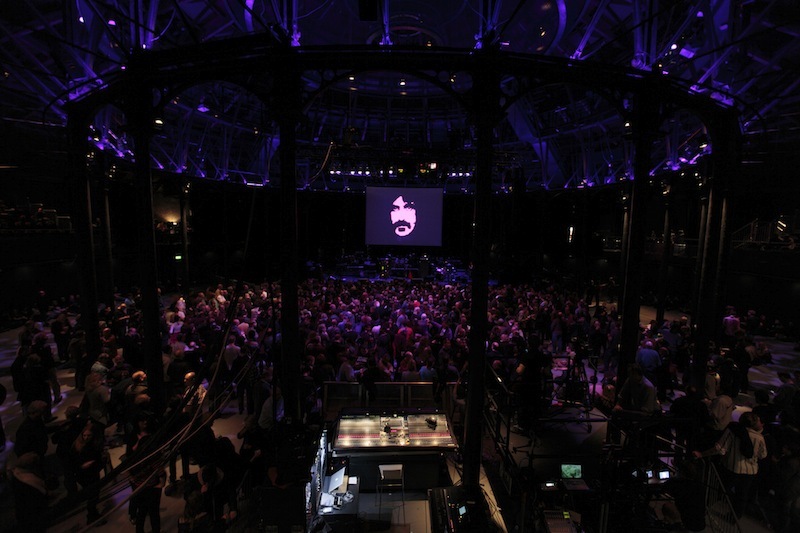 The Roundhouse was hosting a weekend in celebration of the 70th anniversary of the birthday of Frank Zappa, one of the most astounding and innovative geniuses of music to ever walk the earth. 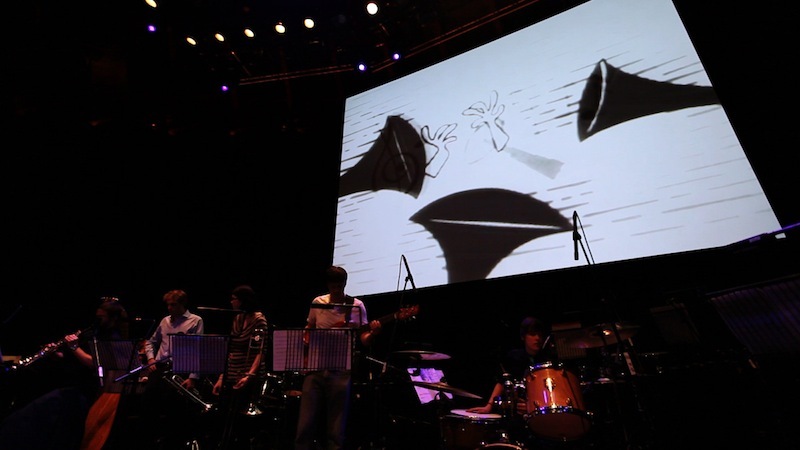 It was an honour for EYESONTHEWALL to perform at that level in front of one of the most respectable audience we could ever imagine. 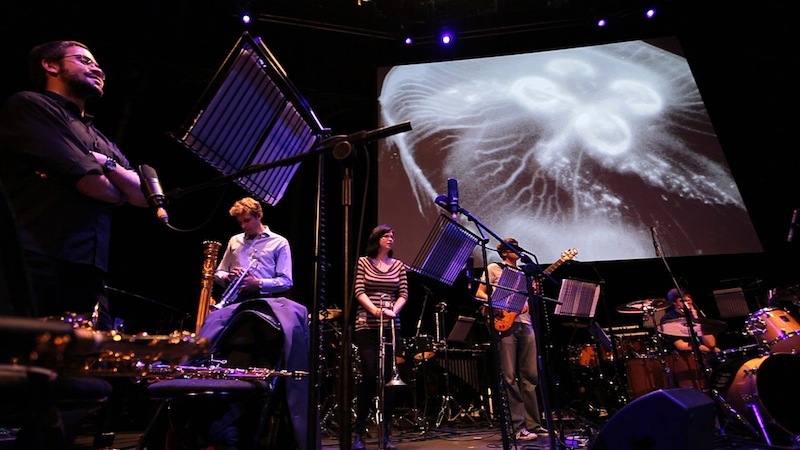 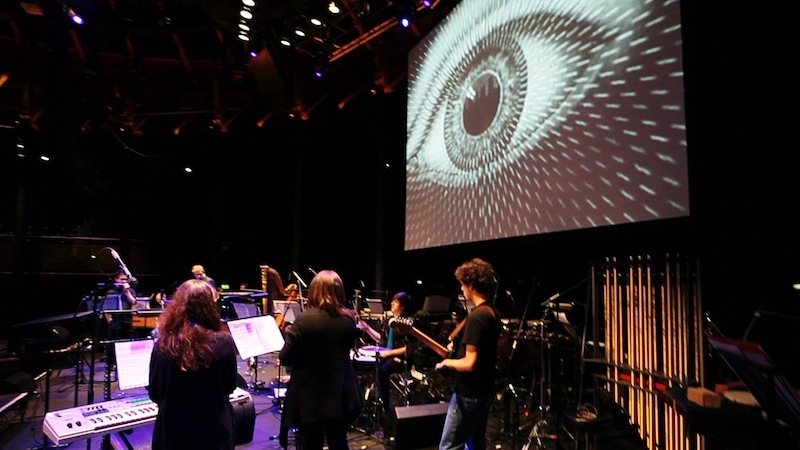 Together with the Roundhouse Music Collective we wanted to push the envelope to bring distinctive visuals harmonized with an unusual music performance of avant-garde/contemporary classics. 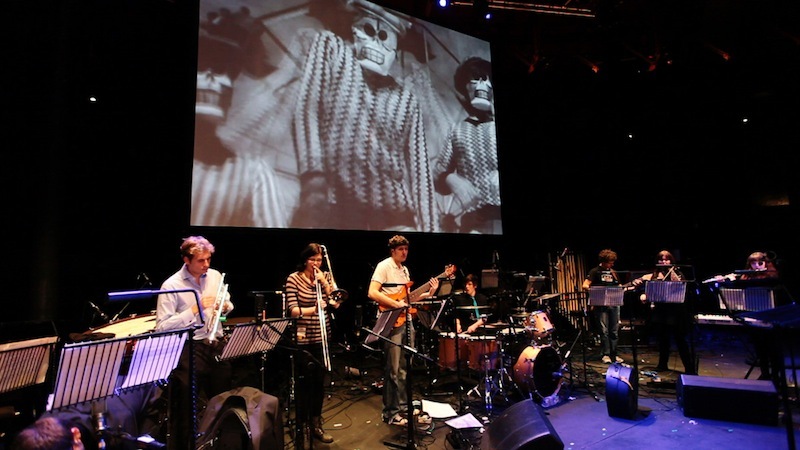 The task was to interpret the inspirations and influences behind Zappa’s genius – from the early 20th-century experimentation of Varèse and Stravinsky, to fuzz-infused rock'n'roll, swinging '50s Doo Wop and early cine Americana. 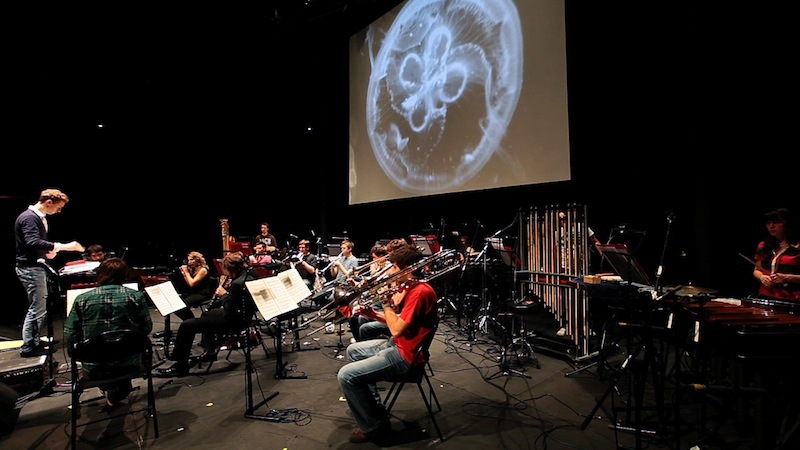 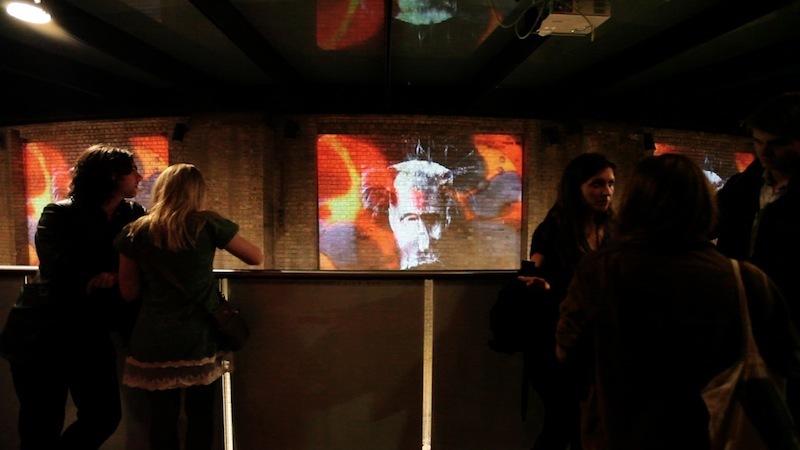 Galvanized by the spirit of experimentation, we dug into commercials’ archives, animated music scores, digested a pretty substantial portion of electroacoustic music and meditated at the pioneers of video art. 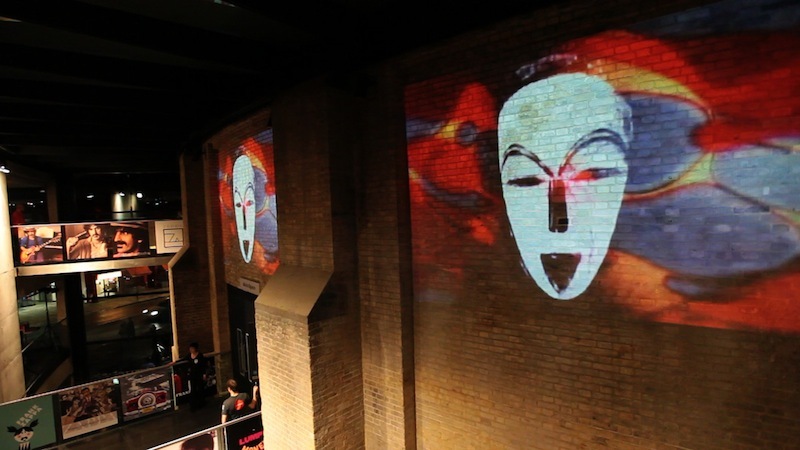 At the Frank Zappa Festival we were also responsible for keeping three powerful projectors in main Roundhouse hall switched on and bursting with visuals. 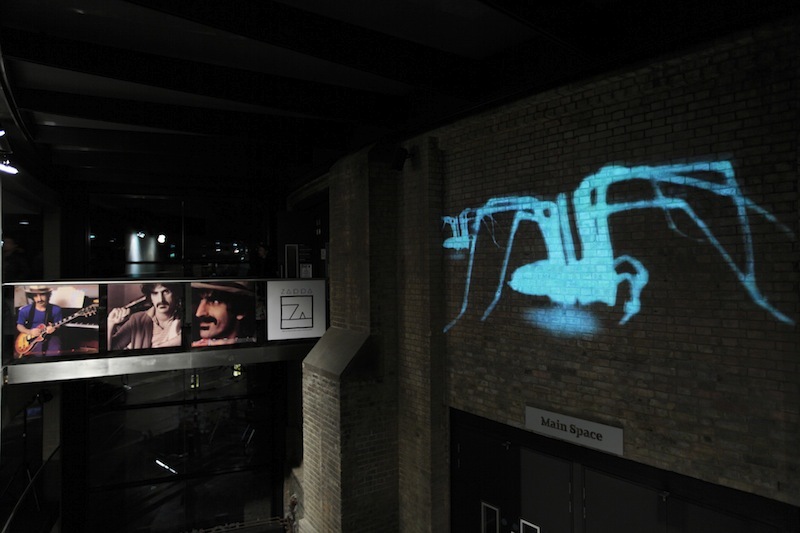 The thematic scope was as heterogeneous as Frank Zappa himself and his virtuosity.